Seats are limited, so reserve your seat today. 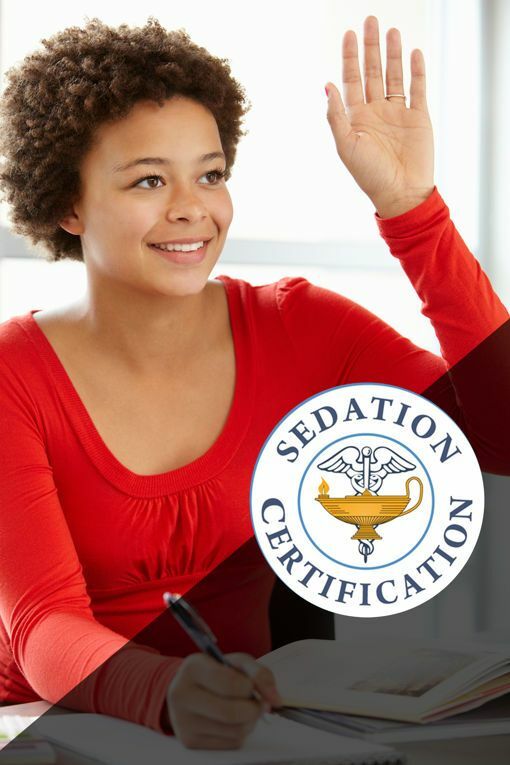 Discuss the differences between minimal sedation, moderate sedation, deep sedation, and general anesthesia. State 4 objectives/goals of sedation. Identify your institution’s policy regarding care of the patient undergoing sedation. Demonstrate care for the patient during pre-procedure, intra-procedure, and post-procedure phases of sedation. List the drugs, routes, and dosages for the drugs commonly used in moderate sedation. Discuss antidotes (dosage, side effects, indications) for commonly used drugs with sedation. Describe signs and symptoms of partial and complete airway obstruction. Demonstrate interventions to correct partial and complete airway obstruction. Identify side effects and contraindications to medications that have the potential to suppress a patient’s protective reflexes and respirations. Discuss the significance of utilizing the ASA classification during pre/post procedural pediatric and adult assessment. Integrate age-specific principles into care of the pediatric and geriatric patient undergoing moderate sedation. Document clearly, completely, and according to established standards, policies and instructions. Effectively manage complications which might arise during moderate sedation. A $25 administration fee will be charged for all refunds. Telephone cancellations will be honored up to 5 business days before the meeting begins. Substitutions will be accepted, but must meet the ACLS, RN registration requirement. In the event of a cancellation for any reason, but not limited to, registration response, strikes, acts of God, etc the liability of Healthy Visions shall be limited to full refund of registration fee.